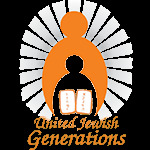 United Jewish Generations (UJG) fills a need that is crucial for the Jewish community, namely Jewish Chaplaincy. Hospitals have chaplains on staff during the day and trauma centers have chaplains 24/7, but none of them can truly meet the specific needs of the Jewish patient. During times of illness one of our chaplains will be happy to pay you or your loved one, a personal visit. Jewish Chaplains provide emotional and spiritual support during times of crisis through counseling, prayer and simply offering a shoulder to lean on and an ear to listen. Our Chaplaincy program offers a Lending Library consisting of prayer books, Chumashim and Tehillims all with English translation. Other translations are available upon request.